Liz Ziemska’s Mandelbrot the Mag­nificent is a fantastical, fictionalized biography of Benoit Mandelbrot and his discovery of the Man­delbrot set. The Jewish Mandelbrot narrates, begin­ning with his childhood in Warsaw, which he and his family were forced to flee to escape Hitler’s invasion. The bulk of the story takes place in France where Mandelbrot and his family attempt to conceal their heritage, first from French anti-Semites, and then from collaborators and German invaders. During this time, Mandelbrot is preoccupied with his math­ematical education. When a rabbi shows Mandelbrot a Jewish reli­gious symbol, the sefirot, Mandelbrot is able to dis­cover the key within it to a new dimension where he hides his family from the worst German violence. Thus, Mandelbrot achieves what he wanted from the beginning: to make a discovery like Kepler’s. Mandelbrot the Magnificent begins and ends with a frame story about Mandelbrot as an old man. 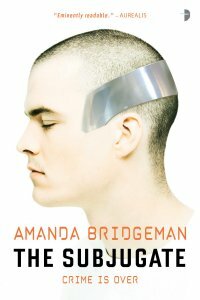 Although the frame strives to give Mandelbrot his­torical context, it’s weakly done in comparison to the rest of the book. Round and round we rode to the plinking sounds of the calliope, until my horse broke free from its circular orbit and began galloping along a tangent line, gaining speed as we shot off into the distance, the wind tossing my hair, tossing the horse’s no-longer-wooden mane into my face, and just as we reached the outer perimeter of the park, we were snapped back by the invisible force of that second focal point. Relentlessly, our path curved inward, centrifu­gal forces tugging at my belly button, as we were pulled back in the direction of the carou­sel horse. While I’m not sure most mathematicians have such beautiful, tangible reveries about numbers, the conceit is lovely. The novella is written with scrupulous detail in a careful style that’s reminiscent of real autobiogra­phies about that time period. 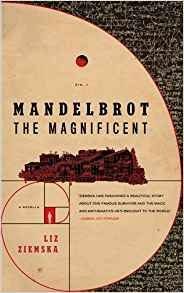 Mandelbrot’s personal history makes for a story that takes a different tra­jectory through war-torn Europe than many Ameri­can narratives about Jews and WWII. His mother’s dentistry practice, particularly, is the source of sev­eral striking moments as she attempts to care for their neighbors and friends despite the risk. Religion is well-integrated into the story’s fan­tastical and historical threads. Mandelbrot views mathematics as part of the fabric of God’s universe, an integral manifestation of creation. Without God and Mandelbrot’s religious belief, the story simply wouldn’t work. Love of mathematics is the central theme that ties the book together. Mandelbrot’s passion for numbers comes through, and so does Ziemska’s.